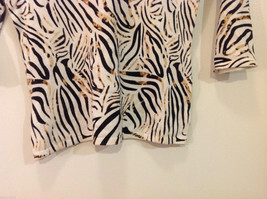 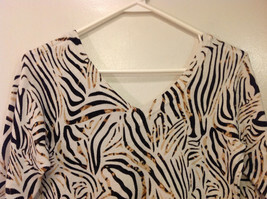 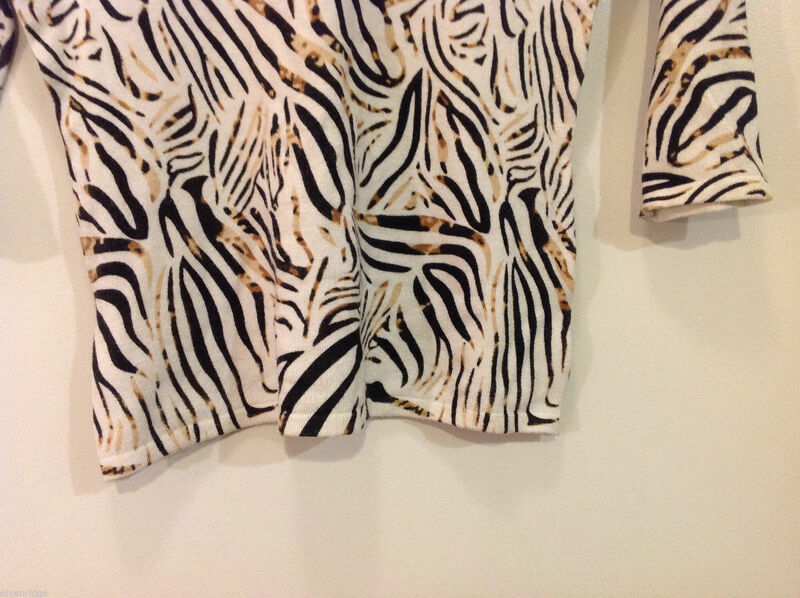 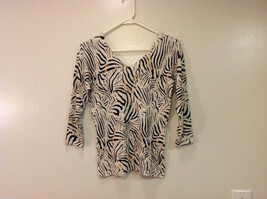 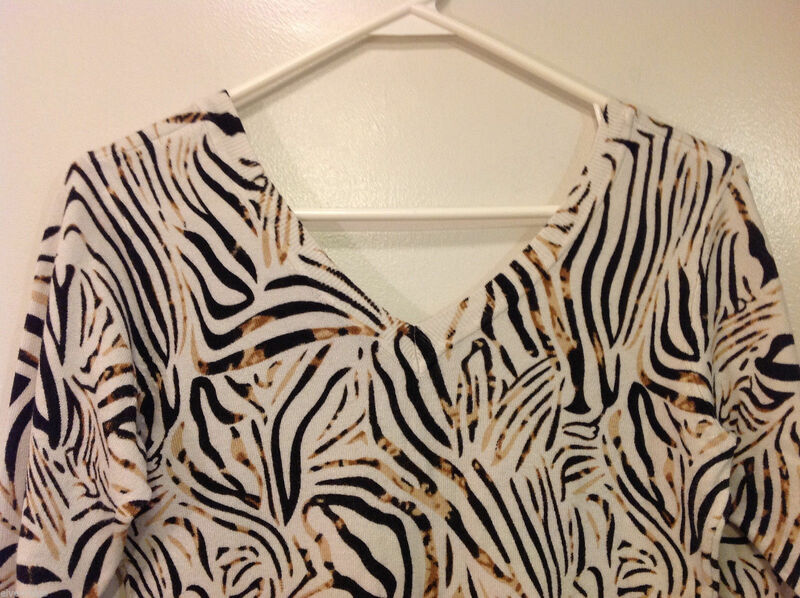 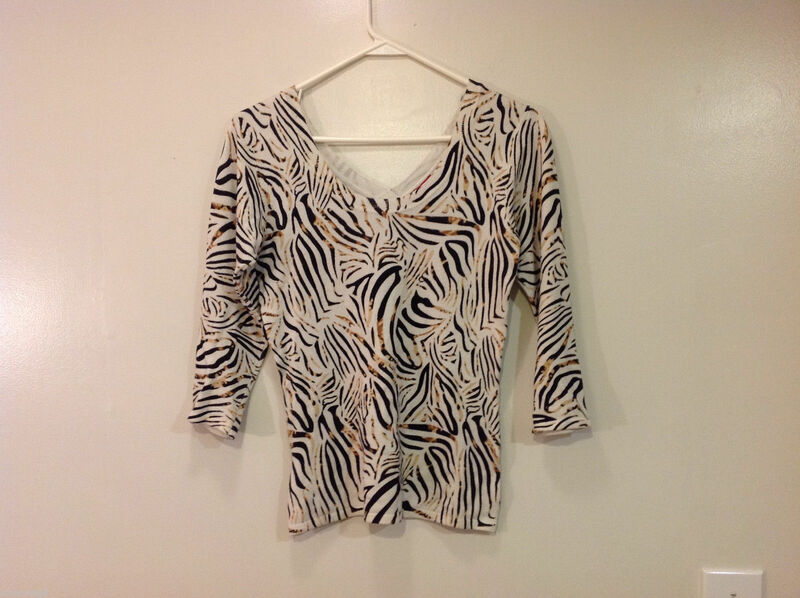 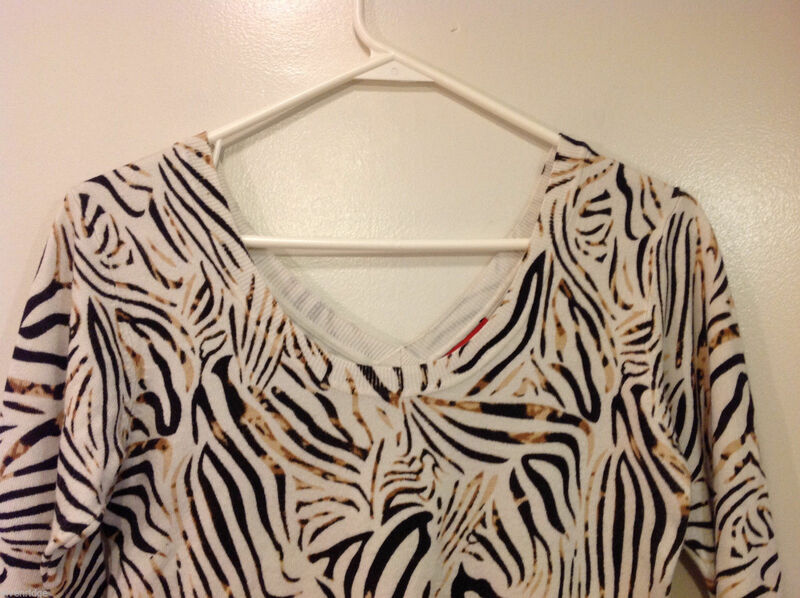 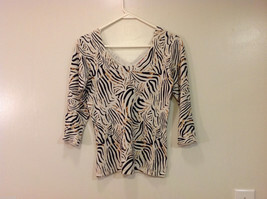 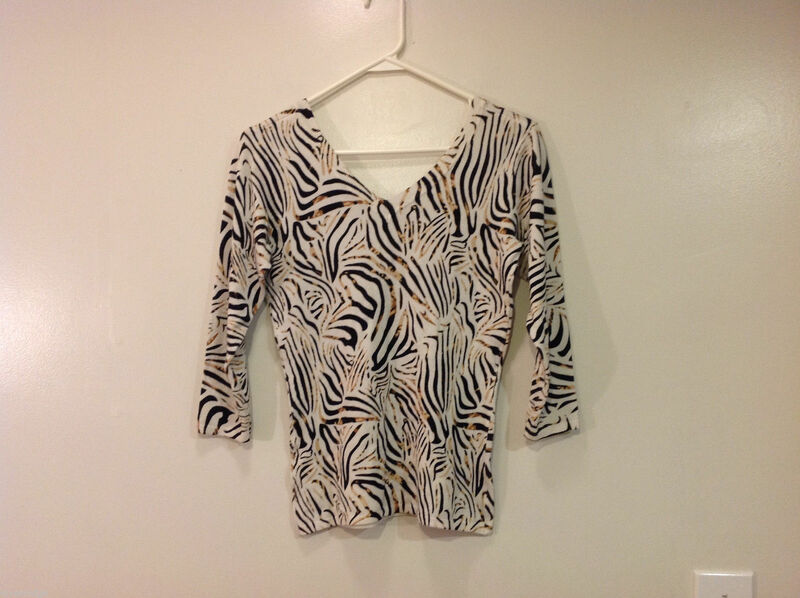 RED Zebra Animal Print Pullover Top White/Black/Brown, 3/4 sleeve, Size S.
Deep scoop neck on front, deep V-neck on back. 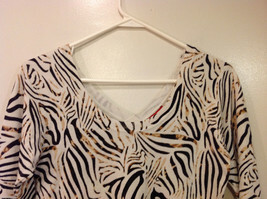 Can be wear both ways. 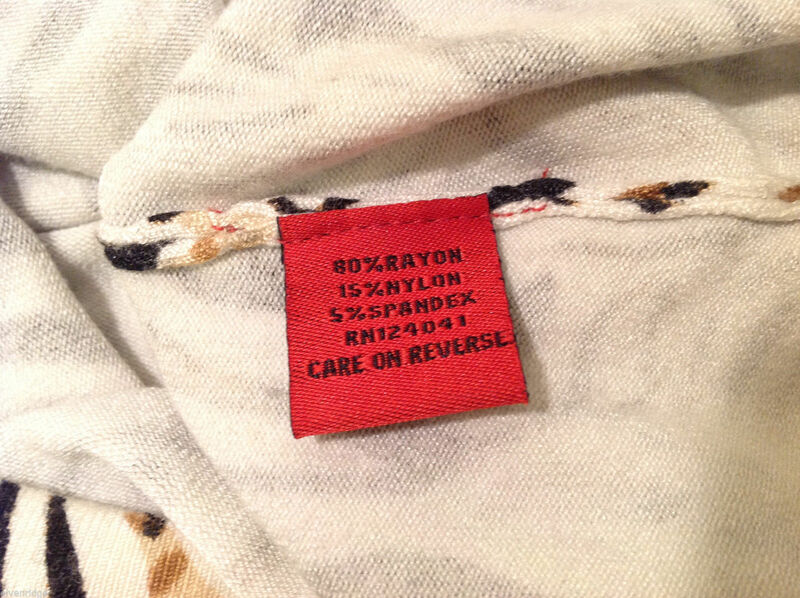 80% rayon, 15% nylon, 5% spandex.